Simple Steps in preparing first time home-buyers for buying their first home! Give home-buyers the names of at least three reputable lenders. Make sure that they have all of their financial information handy for the lender. Tell them to let the lender check their credit score. Make sure if they have student loans, they are current and in good standing. Make sure they are current with any auto loan payments. Make sure that they don’t have high credit card balances and that they pay their bills on time. Tell them to ask their lender to give them a pre-qualification letter stating how much of a mortgage they can afford. After determining what they can afford, identify the area that they would like to live in. Explain to them that they will need at least $5,000 to $7,000 to cover their closing costs i.e; attorney’s fees, home inspection, title insurance, survey, application fee for mortgage and appraisal fee. Explain to them that their mortgage payment will consist of a principal and interest payment, homeowner’s insurance and real estate taxes, (unless they chose to pay their own homeowner’s insurance and real estate taxes) so they can plan their budget. Now they can look for houses in their price range with confidence because they know exactly what they can afford. When they find the property that they want to purchase. Explain the contract and attorney review process. If they don’t have an attorney, give them the names of at least three and let them make the choice. After attorney review has been completed give them the names of some home inspectors in the area. Explain the home inspection phase of the process. After the home inspection phase has been completed. Make sure that to ask them to follow-up with their lender to see if they need any additional paperwork from them. Have your clients get quotes for homeowner’s insurance from more than one insurance company. When the lender approves the mortgage and issues a mortgage commitment, it is time to get ready to close. On the day of closing, go through the house with your clients and make sure they are happy with the condition of the house. If the walk-through goes well, proceed to the closing. Congratulate your first time home-buyers on the purchase of their first home and tell them how proud they should be of themselves for achieving this monumental goal in their lives. Check in with your new homeowners a week or two later and ask them how everything is going. As a Real Estate Professional, I often hear clients reference the assessed value of a home as to what they feel a home should sell for. Actually, the assessed value of a home has nothing to do with the homes market value. Tax assessed value and market value are not the same. I feel this fact usually confuses clients who are looking to buy or sell a home. In many cases, the tax assessed value can be both higher and lower than the homes market value. It is important to understand that the tax assessed value of a home can vary dramatically from one area to another or one town to the next. The Tax Assessor in each town has their own way to calculate the assessment of property within their jurisdiction.. Tax assessors are not required to adjust annual property assessments to match real market value of a property. These results in a lot of room for interpretation in what a home is worth on paper at the municipal tax office and what it will actually sell for. Unfortunately, this makes using the assessed value of a property to determine an asking price or purchase price of a home extremely unreliable. Market value is determined by using comparable sales. Comparable sales are recent sales of similar homes in surrounding neighborhoods usually within 1 mile of your home that have sold over the last 6 months. This is called the “Market Analysis” approach and is used by Real Estate Appraisers for appraising the value of homes. Using this approach, a Real Estate Professional can usually determine what a fair price is to list a home for sale and also what a house should sell for. The most common approach to property value is Market Analysis or Comparable Approach. 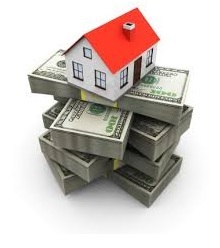 Both determine prices paid for similar properties in the neighborhood by analyzing recently sold properties. Recently sold is any property closed preferably within the last six months in the same neighborhood, typically within 1/4 to 1/2 mile from the subject property. The Tax assessor’s office doesn’t have access to comparable sales that are MLS (Multiple Listing Service) to determine your property’s true market value. Therefore, the tax assessed value should never be assumed to mean market value. Knowing the difference between Market Value and Assessed Value is just one of the ways you can eliminate some of the unneeded stress that goes along with a Real Estate transaction. When you rent a home, you send money to someone else every month in exchange for knowing that you can call on your landlord when the roof leaks, an appliance stops working or your bathroom faucet breaks. But there are some big advantages to buying a house that will help you get out of your renting rut and focus more on your future. Did you know that when you rent a home, you help someone else build equity? Any changes that you make with your landlord’s approval put money back in his or her pocket. Keeping the yard clean and taking care of routine maintenance builds equity in that property. When you buy a home of your own, you have the chance to build equity of your own, which you can use to obtain a loan later. The federal government lets you take a deduction on the interest that you pay on your home mortgage loan. If you purchase your home, you can also make a deduction in regards to your property taxes. You can also deduct money that you spend on some renovations and energy saving appliances. Owning a home lets you put your personal touch on things. You can paint the walls any colors you want, rip out the carpet to add hardwood flooring or even make significant changes outside to turn your new home into your dream home. Did you know that the Federal Housing Administration, or FHA insures loans with small down payments and private mortgage insurers also have relaxed their down payment requirements making it possible to get a mortgage today with no money down. With the right mortgage representative, homebuyers can find these home loans and make the home buying process smoother. VA Loans- The VA guarantees purchase mortgages with no required down payment for qualified veterans. Private lenders originate VA loans which the VA guarantees. Navy Federal- Navy Federal Credit Union offers 100 percent financing to qualified members who buy primary homes. USDA- The U.S. Department of Agriculture mortgage guarantee program is a no down payment program that is so popular that it has been known to run out of money before the end of the fiscal year. Some borrowers are surprised to find that Rural Development loans aren’t confined to farmland. Mortgage Insurance- Qualified borrowers can make down payments as low as 3 percent with private mortgage insurance or PMI. FHA- FHA is the low down payment option that’s available to people with imperfect credit histories. With a minimal down payment of 3.5 percent this makes a great low down payment option for homebuyers. To get the complete scoop on what programs you might qualify for and to help aid you in the home buying process, feel free to contact me. I’ll help get you the assistance you need to get out of the rental rut you’re currently in. Mantoloking is ready for sailing, surfing, sunbathing, and memories. 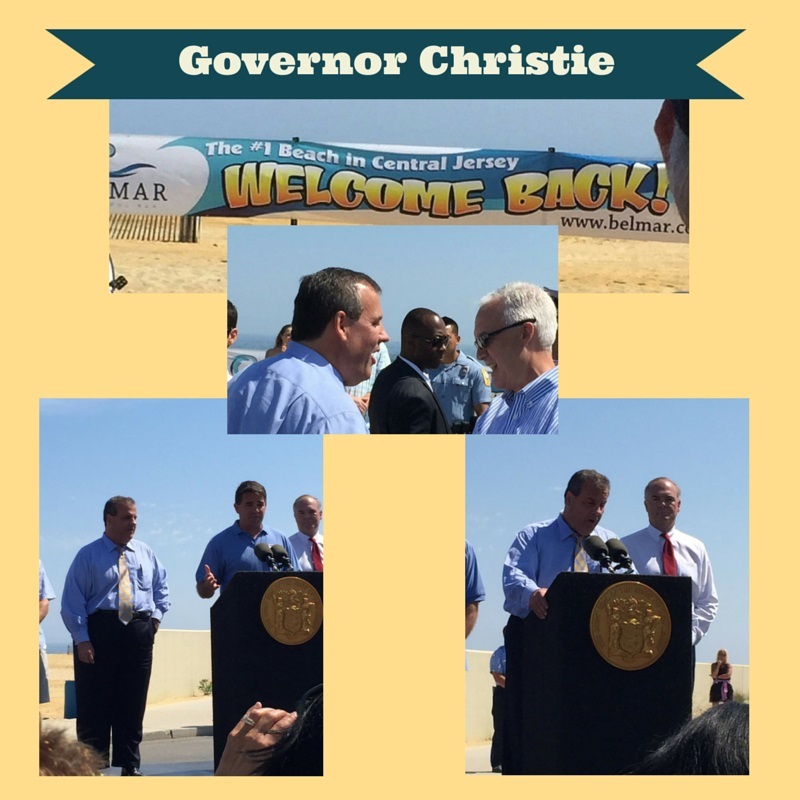 SUMMER 2015 – MANTOLOKING, NJ: There have been advancement and change around every corner. The positive advancements have come in the form of market appreciation due largely to infrastructure achievement, Army Corps of Engineers development of the beach replenishment, and the diminishing reservations that arose from Super Storm Sandy. Since Sandy, the real estate market in Mantoloking has seen incredible and unprecedented gains. On February 27, 2013 the initiation of sales for the ocean front market in Mantoloking was established with the sale of 1029 Ocean Ave (double lot; 140 feet on the ocean) for $2.75 Million or $1.375 Million per lot. Ask anyone who is familiar with this sale it was a “panic sale.” Since that transaction the prices have steadily increased for lots that offer 70 feet of ocean front living with the latest property closing on May 6, 2015 for $3.25 Million for an increase of 136% for the 70 footers. Properties with larger frontage on the ocean, 100 feet of ocean front, have remained relatively steady trading at $2.9 Million and the property CARA Realtors listed and sold, setting the record at the time, for $3.0 Million. The Army Corps of Engineers has been working closely with the Borough of Mantoloking, the State of New Jersey, and the Federal Government to reconstruct what was once considered one of the most beautiful and isolated public beaches in New Jersey. With the steel revetment in place and the dunes consistently being enhanced the final page is to be turned. The plan calls for beachfill construction to significantly increase the current depth of the beach along the oceanfront utilizing sand from an offshore borrow source and periodic nourishment for a period of 50 years. If this prediction holds true this will be the third year at the Jersey Shore without a major hurricane season event quelling many of the fears and concerns that were associated with the epic storm. Along with the above mentioned advancements Mantoloking has had to change something that has kept it the most prestigious beach front community in New Jersey. Throughout the time I have been enjoying the beaches in Mantoloking limited parking spaces have been provided. Parking was available on Downer Ave., Princeton Ave., Carpenter Ln., Lyman St. and East Ave. Now in order to be compliant with terms and conditions of the Army Corps of Engineers (ACE) beach renourishment project, Mantoloking needs to provide an additional 100 (Mantoloking has agreed to provide 101) parking spaces to enable more public access to the beach. The proposal is to provide these along the east side of Route 35 between Lyman and Herbert Streets …to be available for parking sunrise to sunset. With these additional parking spaces the beaches “North of The Mantoloking Bridge” have the potential to become more populated. At the end of the day Mantoloking was one of the most devastated communities affected by Super Storm Sandy. It has taken two and a half years to complete the roads, get the dunes constructed to a level that will protect its citizens and property from another tropical event, and restore the area to the prominent ocean front community it will always be. Some of the faces in town have changed and the facade of the landscape is elevated and new, but the Mantoloking Yacht Club is ready for sailing and the picturesque beaches are prepared for surfing, sunbathing, and memories. For more information about living in Mantoloking. Feel free to contact me. JRoberts@cararealtors.com or 908-330-7250. What are some things boaters should consider when buying a waterfront home? This is a very tough question to answer but I’ll try to shed some light on it. After an almost 30 year career in the marine industry before turning to real estate, I spent many days on a boat owner’s dock. There is so much to consider when a boater is looking at buying a waterfront home. Here are some basic questions you should ask yourself. What type of boating are you doing or plan on doing? Are you a bay cruiser a fisherman or maybe even a sail boater? If you’re a bay cruiser it may not matter to you if it takes longer to get to open water to enjoy your sun and fun. If you’re an avid fisherman you might want to be very close to an inlet or open water to be able to get to the fishing grounds fast. Sail boaters may want an area that has wide open lagoons, deep water and space to be able to enjoy their craft. Now once you’ve found what you think is that “perfect waterfront home” in an area that suits you. Take a look at the dock or bulk head where you’ll be keeping your boat. Will your boat fit? Does it have a floating dock? Is the water deep enough on both high and low tide? Do you require electric service to keep your boat up to snuff and ready to run? These are just a few of many questions to consider when keeping your pride and joy safe and your sanity. Let’s explore just a bit more. Ok so you’ve determined the dock is adequate for the boat. That shiny 26’ boat or yours has plenty of space along the 50’ of bulkhead. It’s equipped with electric and water services that meet your needs. You Found!!! You Found IT!! The perfect water front home!! Right! Not so fast… You may want to look just a little more. While the water depth at the dock is nice and deep, is it possible to get in and out of your dock? You’re asking yourself “what does he mean”. Well did the company that maybe replaced that bulkhead a few years back help the homeowner out and also move a little mud? Maybe the home owner did a little boating trick and tied the boat to the dock put it in gear and moved a little mud themselves? Here’s what you should do. Make a day of it and cruise your pride and joy into the area where you want to call home. Try and do it on different tides and see if you can make it in and out safely. If you can, you’re just one step closer to a new homeport. This sounds like a lot of silliness but are crucial steps to take. A short cut here may mean years of unhappiness. Who wants to own a beautiful waterfront home that you can’t get your boat to or can’t leave the dock unless it’s high tide? This will help you understand the dynamics you’ll face when coming in and out of the area. You’ll know whether or not you’re comfortable navigating the lagoons or waterways to and from homeport. In the process I’m sure you’ll see many people sitting dockside waving as you float on by. Don’t be afraid to stop and ask questions about the area. Typically boaters are a friendly group and willing to share their insight and experience with anyone who will listen. You can learn a lot if you just ask a few questions. Bottom line. Look beyond the new deck and the serene views, the big kitchen and the bbq. Explore the waterways and you’ll discover more than just homes. A whole new lifestyle of waterfront living is just around the next bend.